Short Kut…The Con is On is a Hindi remake of Malayalam film Udayananu Thanam and is supposed to be a spoof on film-making itself. This is the story of two wannabes who aspire to make it big in the world of cinema. Shekhar (Akshay Khanna) is ready with a very well written script and is scouting for a suitable producer to make his debut as director. The other character is Raju (Arshad Warsi) who dreams of becoming a super star. To make his dream come true, Raju takes a short cut and steals the script of Shekhar. 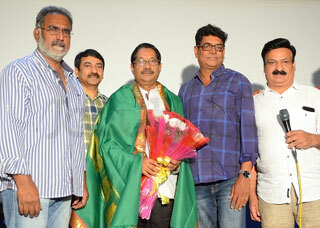 After the film is made based on the script, Raju gets accolades and within a short time becomes the regning super star. He also marries the top heroine Mansi (Amrita Rao). 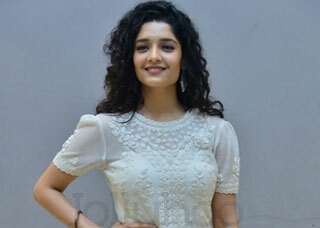 The twist in the tale comes when Shekhar is required to direct Raju in a film being produced by a big production house. The rest of the story deals with fruits of struggling straight-forwardness and blatant dishonesty. Akshaye Khanna gives a sincere performance but pales because of a weak script. Arshad Warsi is energetic but his roles are becoming routinely common as sop to the mass audience. Anil Kapoor is unimpressive in his cameo. Amrita Rao looks quite glamorous but she is just an arm candy. Chunky Pandey tickles your ribs once in a while. Ali Asgar looks like set property. Siddharth Randeria exaggerates his act. Anees Bazmi’s script is weak and unconvincing. Direction of Neeraj Vora fails to give any impetus to the narration and the climax is particularly clichéd. Ashok Mehta’s cinematography is very good but fails to be noticed because of poor story telling. Usic by Shankar- Ehsaan- Loy does not seem to carry their signatures. Editing could have been improved. Audiography is more of a cacophony. With the original Malayalam script tampered with mindlessly, Short Kut does not engage the attention of the audience continuously in spit of some interesting incidents here and there. The comedy makes you yawn instead of giving you laughs. The plot of the film is such, it could have been made into a serious film with bitter rivalry between Shekhar and Raju in the genre of a thriller. Short Kut proves that there is no short cut either for script or screenplay or genuine cinematic entertainment.